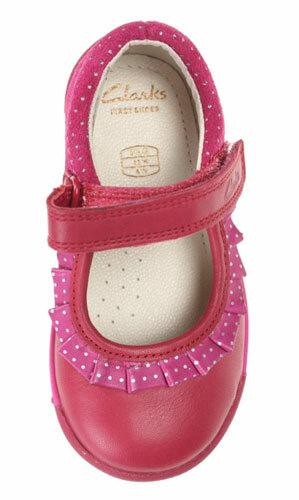 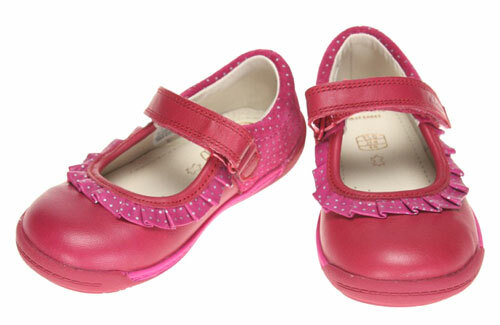 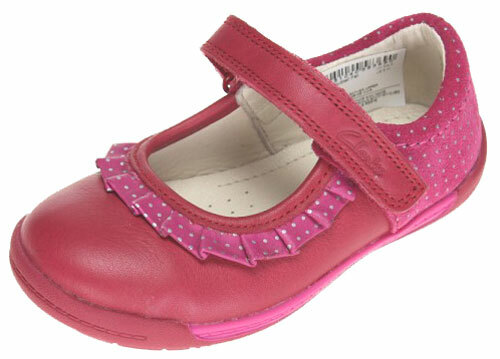 Clarks Softly Stef – cute girl’s Mary-Jane style leather shoe from Clarks first shoe range. 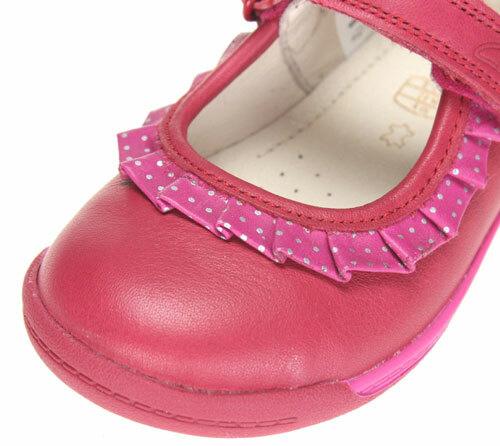 The delicate looking shoe features pretty contrast dotty frill detailing for an attractive look. 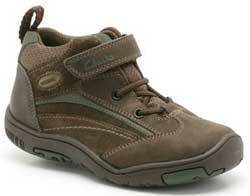 A single velcro strap give adjustment for a good and secure fit. 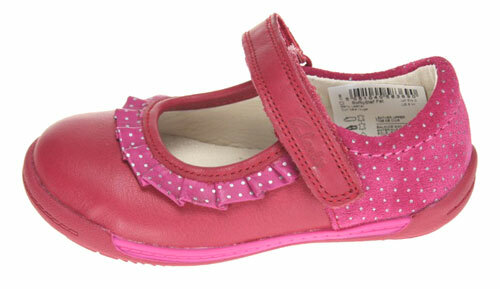 The rubber soles of these soles are durable and provide traction and security underfoot with every step.